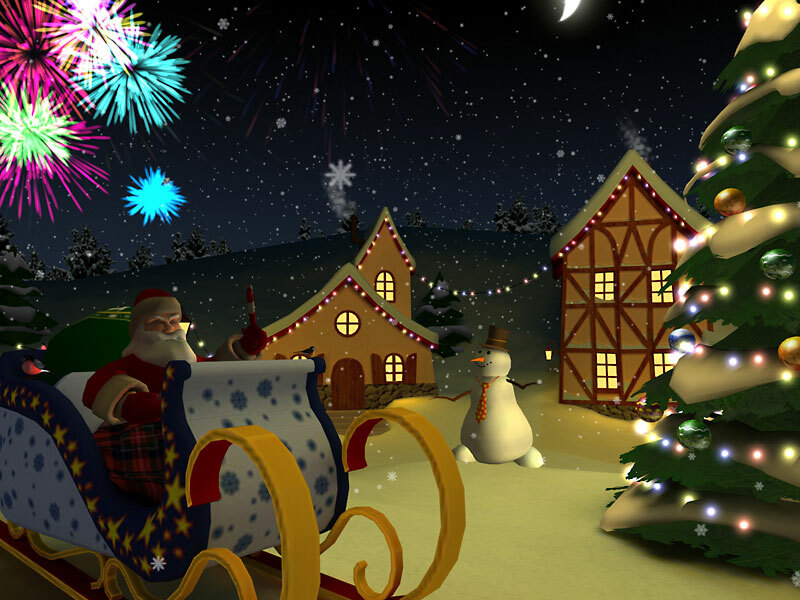 Turn this animated 3D screensaver on and the holiday atmosphere of upcoming Christmas will surround you. Transfer yourself in a fairy winter place. Start the fireworks and dance around the Christmas Tree with Santa and his friends, a funny snowmans. Enjoy the Christmas cheer! Special festive music and brilliant colorful graphics will bring true holiday feeling to your desktop. Now you don't even need to wait for the event. Holiday & dog themed screensaver with over 20 high res photos. Qweas is providing links to Xmas Holiday 3D Screensaver 1.0.2 as a courtesy, and makes no representations regarding Xmas Holiday 3D Screensaver or any other applications or any information related thereto. Any questions, complaints or claims regarding this application Xmas Holiday 3D Screensaver 1.0.2 must be directed to the appropriate software vendor. You may click the publisher link of Xmas Holiday 3D Screensaver on the top of this page to get more details about the vendor.